An internet fraudster ran a Match.com online dating scam to con seven men out of more than £100,000 by getting them to send her cash in exchange for a date. 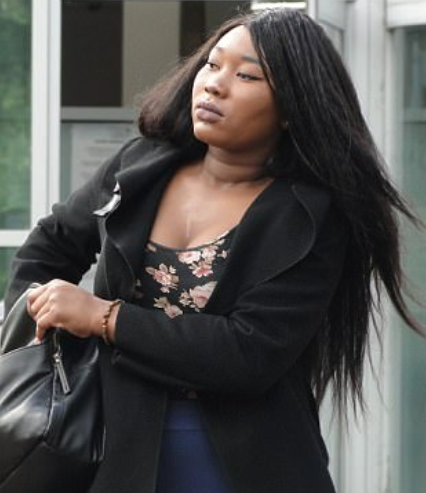 Grace Akintaro, 24, pretended to be ‘Amanda Jenson’ and even spoke to at least two of her victims on the phone, persuading them to send her money for travel and expenses ahead of romantic rendezvous. 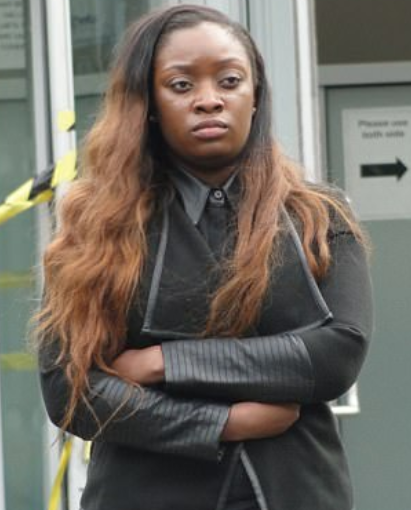 She was helped by Victoria Nwogu, 22, who admitted laundering some of the money on Akintaro received. Akintaro told Woolwich Crown Court she began the scam because she was ‘naive and used by this person I was in love with’, and admitted asking for more cash from her victims claiming she needed to pay off debts. The men were convinced their online romances with Amanda were genuine but dates were cancelled with one excuse after another. Akintaro, of Greenwich pleaded guilty to seven counts of fraud between August 1, 2014 and December 2, 2015. The same charges were dropped against Nwogu, also of Greenwich, who pleaded guilty to one count of laundering £3,490 between April 29 and May 6, 2015. Judge Nicholas Heathcote Williams QC said: ‘Judging by what the victims say there were detrimental effects, both psychologically and financially. Victims were given different set bank account details to pay larger sums and told they belonged to her mother or landlord. Akintaro even sent fake documents were used to provide evidence that Amanda Jenson was due to receive an inheritance from a relative and would then be able to pay the money back. One of the victims handed over a total of more than £46,000 and a another gave the fraudster money from his dead wife’s life assurance policy. Another man took out an equity release on his house to pay her money. One victim was told to go to a London airport to meet ‘Amanda Jenson’ who was on an inbound flight. As he was standing outside the arrivals lounge he was called on his mobile and told she could see him waiting but had been held up by customs officials and needed more money before she could be released. He refused to pay and went home. Police know Akintaro visited bank branches at least sixteen times, withdrawing £23,000 of the victims’ cash. Akintaro used her three bank accounts and a paypal account to transfer the money, but claims all she has to show for it is a £5,000 Renault Clio and a few hundred pounds. The judge added: ‘It was not a peripheral role because she was talking over the net. ‘We are looking at high culpability because of the high number of victims and long period of time. Mr Dent added: ‘There would have to be a female involved and that was Miss Akintaro. Detective Constable Mark Cresswell, of the Met’s Fraud and Linked Crime Online (FALCON) unit, said: ‘We managed to identify seven victims of this fraud but I suspect there are many more who have not contacted police. ‘Romance fraud is often an under-reported crime as victims can be left feeling embarrassed about the sum of money they have handed over to someone they have never met. A Match spokesperson said: ‘We are appalled by these crimes and welcome the convictions in this case. Sadly, there is a tiny minority of people who set out to harm others and while this is not confined to dating sites or even the internet, those who do should be brought to justice. They will return for sentencing on June 20.